A co worker has this 81 kz750 its all stock no mods garage kept 12,000 miles. Runs great, recently inspected. Well he couldnt pay the rent on his garage and now is keeping the bike in his living room. He asked me how much its worth. I told him probably $1000. But i have no clue. Im a honda guy. What do you think the bike is worth in todays market? where you live will play a substantial factor in the price. where i live you could probably get 1500-2500 depending on how stock or how good of mechanical condition its in. by that fuel stain on the sprocket cover i would say it probably needs some love, but it does look pretty clean. Yea i could not find a similar bike for sale in my area (searching craigslist and ebay atleast). I noticed the stains to but im told it runs flawlessly. 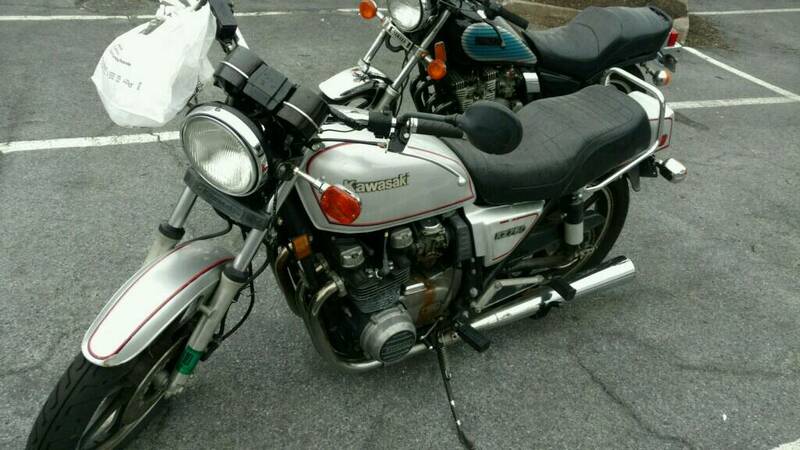 He just wanted a idea of what someone whos looking for a kz750 would be willing to pay for it. I have a friend looking for a bike. Where in PA are you?